First of all, what exactly is UX Design? If you’ve ever typed “User Experience Design” into your favorite search engine, you’ve probably found yourself swimming in a veritable sea of definitions. There’s a good chance you’ve even stumbled upon one of a number of sites devoted to the long-standing (and never to be resolved) debate between web practitioners over what disciplines should and shouldn’t be included in the field of UX. That being said, I would like to offer up one of the most helpful definitions I’ve come across, courtesy of Smashing Magazine. Does this website give me value? Is it pleasant to use? The bottom line is this: you want your site visitors to be able to find what they are looking for quickly and painlessly, and enjoy – or if not enjoy, then value – the time they spend on your site. Dealing with these issues is a lot of what UX practitioners do. Whether your business relies on ad-revenue generated from people visiting your site, or you’re looking to get people to purchase your products, the more positive their experience on your site, the more likely they are to return to your site and add to your bottom line. Here are three easy first steps you can take to create a great user experience on your website. Create content first. Design second. Let me be clear: I am in no way advocating for a return to the dark days of the internet when websites consisted of blocks of plain text and lists of underlined, blue links. Nor am I suggesting that you have to write every piece of copy before designing your site. What I am suggesting is that the key to delivering an experience that meets users’ needs while promoting your business’ goals is to anchor your website in the actual, real content. 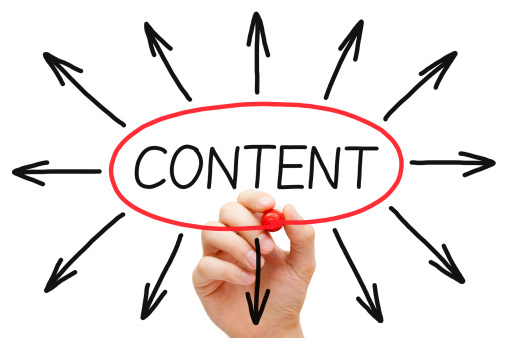 Content is the single most important part of a website; it is why users visit your site in the first place. So it only makes sense to start a project by creating, or taking an inventory of, the content that will be included on the site. For example: A three column layout with three headlines, blocks of text, and calls-to-action might look great and seem generic enough to work for any site, but if your content naturally breaks into two categories, and you only have two CTAs, you will end up using duplicate or extraneous content to fill out the third column. This only serves to dilute the rest of your “good” content and weaken your overall message. Designing with a “content first” approach means optimizing content for a web audience and focusing on delivering a consistent message across all devices. There is good reason for the striking similarities between navigation menus on most websites: building on users’ existing mental models about how websites work reduces the cognitive load required to use sites. What is cognitive load? 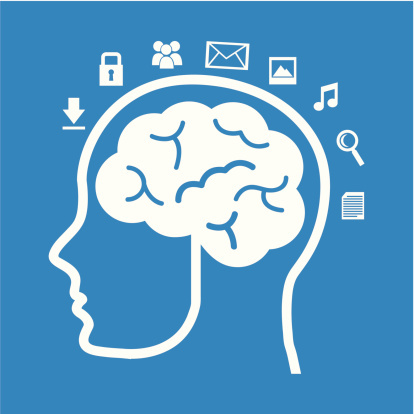 In the field of user experience, cognitive load refers to the amount of mental power needed to use a site and therefore affects how easily users are able to find content and complete tasks. Anything you can do to lessen the cognitive load needed to use your site will help free up visitors to focus their attention on what matters most: your content. Utilizing common design patterns for site elements like navigation, buttons, labels, and layouts is one way to do just that. A second way is to avoid visual clutter. Irrelevant text and images slow users down and distract them from the content that matters. You can also reduce the overall cognitive load required by your website by maintaining a clear, consistent content hierarchy so that users don’t have to think about how different pieces of information are connected. More than half of digital traffic now comes from mobile devices and through mobile apps. A report released by comScore in June 2014 says that smartphones and tablets account for 60% of all online traffic. Long gone are the days when businesses could get by without optimizing their sites for mobile devices. As anyone who has ever viewed a non-responsive site on their smartphone can attest, having to pinch and zoom to view content is usually a deal-breaker. The likelihood of returning to a site with that kind of abysmal user experience is virtually non-existent; there is almost always another website providing the same service or product that’s also providing a better mobile experience. So if your website isn’t optimized for mobile, you are missing out on more than half of all digital traffic. Creating an adequate mobile site can help you rank better in search results, but providing an exceptional user experience can really set you apart from your competition. 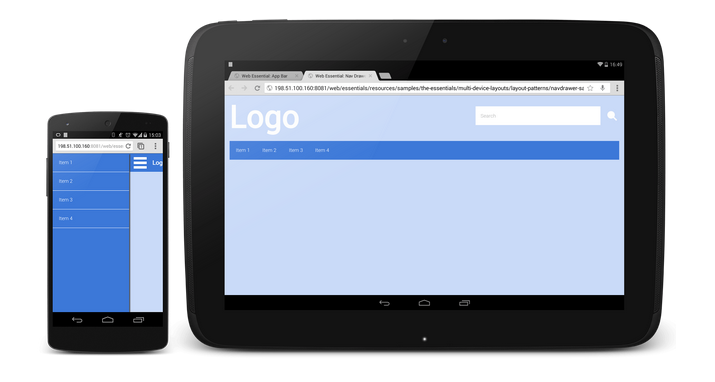 We recently wrote about the latest mobile design considerations on our blog, read more here. Apply these three principles to your site and you will be well on your way towards creating a positive user experience that will engage potential customers and generate valuable business. Interested in a free UX or mobile audit for your website? Contact ArcStone today and we will review your site and provide actionable recommendations to improve the experience.